If you take the self-help advice of the gurus, who write books and give seminars about how to get ahead in life, and boil it down to its essential ingredient, it would be three words: Get things done. In business, executive action is what makes the winning difference. The need to take action is the same whether you’re in the technology or the fitness industry, healthcare or wellness if you operate retail sales or sell nutrition products online. 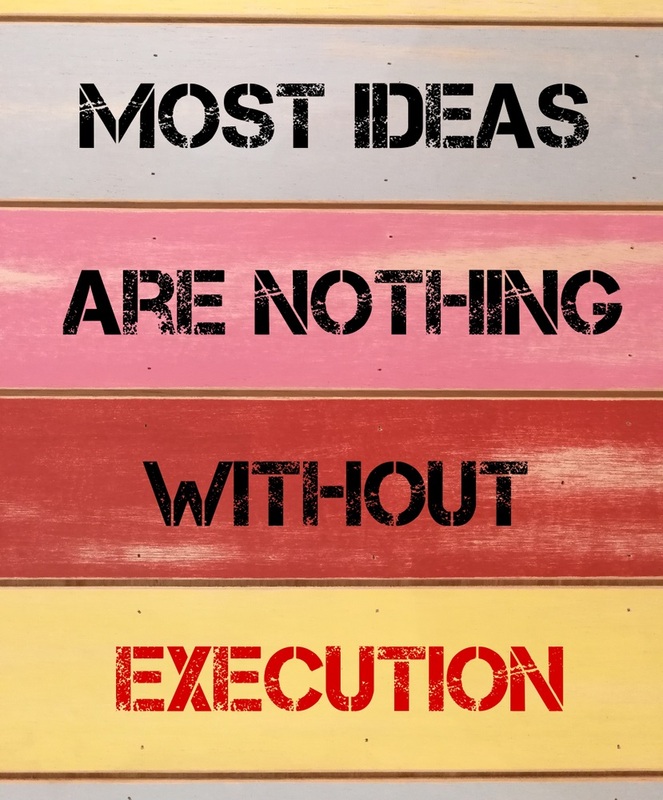 Execution is everything. It is why the top boss at the multi-national big-box fitness giants is called a Chief Executive Officer. If you work with startups or you invest in growing businesses the one thing that you will look for is the ability to execute. It’s true there are other factors that matter. If you start a new gym business the idea that inspires the unique selling proposition is one. If you want to turn around a failing fitness club and make it profitable, making the right change is another. In both cases, you have to make sure that the new system gets pushed through to go into full effect. That may be trickier than you expect if you run up against pushback from employees who don’t want to change or come in with preconceived agendas. Fortunately, if you want to improve your execution skills, fitness is the perfect industry. Raising your personal fitness game is a matter of getting your own workout done. In others, it’s like coaching a client to the next level of strength and body. If all human beings could workout alone and achieve the goals that they desired, there wouldn’t be a fitness industry. While some people get more done in the gym than others, most fitness club members receive excellent value from client programming. For many people, it makes the difference between success and failure. If you think about it that way, you provide the executive function in the fitness programs and progress of your club members. As a professional fitness entrepreneur, with a passion for physical activities and training, you’re always leading others. You do this by applying the discipline to your life and fitness activities, and finishing the projects that you start. When it comes to operating your fitness business or preparing to launch a gym in a new market, it will be up to you as the executive to push past the roadblocks. You will have to troubleshoot machinery and equipment that does not work. It will be you that resolves conflicts and revises policies to prevent them recurring. Going from zero to one is always a challenge. Managing changes and making course corrections often require as much energy. You will start early in the morning and finish last every night as you work to move your business onto the track where it needs to be. Even though it may seem unending at times, it will prove to be a finite number of tasks that take you to launch day. Once you hit the point where everything comes together, you’ll have the satisfaction of winning, crises will diminish, and normal operations will take less of your time. As you begin to build your membership and deliver client programming that gets results, you will have the reward of stepping back and enjoying the success and considering your next move. The Insight Gym Management Software package cannot make the big push that gets you over the line, that’s your job. What we can do is help you manage your fitness club, your membership, and payments. When you have the right tools, execution becomes a matter of deciding where you want to take your business and getting the things done that get you there. Ashmore, Amy. Design, Execute and Modify a Program for Your Client. January 26, 2012. https://www.ideafit.com/fitness-library/design-executeand-modify-a-program-for-your-client (accessed December 1, 2018). Fagan, Lawrence. Changing Track To Try Out New Gym Business Opportunities. November 8, 2018. https://blog.gyminsight.com/5224-changing-track-to-try-out-new-gym-business-opportunities/ (accessed December 1, 2018). —. Creating The Best Client Programming Experience For Your Membership. January 28, 2018. https://blog.gyminsight.com/4848-creating-the-best-client-programming-experience-for-your-membership/ (accessed December 1, 2018). Klika, Bret. 3 Steps for Crafting Simple Fitness Programs. July 5, 2015. (accessed December 1, 2018).